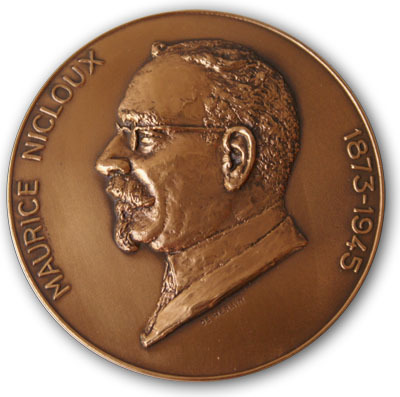 Maurice Nicloux was the founder and the first president of the Society. The Prize is awarded yearly. 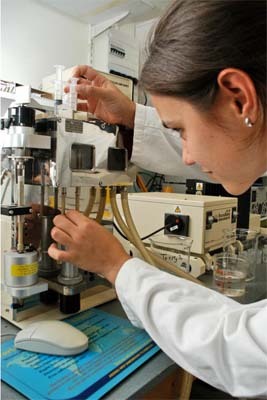 It is intended to distinguish high-profile Maîtres de Conférences or Chargés de Recherche that are members of the SFBBM, and close in their career to Professor or Directeur de Recherche positions. The Prize recognizes an ensemble of findings or a particularly original and important discovery in Biochemistry/Molecular Biology. The Prize – a 2000 Euros worth personal cheque as well as the Maurice Nicloux medal – is awarded during the annual Meeting of the SFBBM during which the Prize winner is invited to give a talk. Please take a look to the right for how to apply. The Dina Surdin Foundation prize is awarded for an outstanding work. The candidate should be less than 35 years old, with a valid SFBBM membership, must possess a PhD that has been defended at the most 2 years before the prize is obtained, and should not have a permanent position. The prize winner is selected by the SFBBM. The prize is awarded during the annual Meeting of the SFBBM during which the Prize winner is invited to give a talk. Prize "Article of the year"
A less than 35 years old young scientist or PhD student, with a valid SFBBM membership, sends a less than 12 month-old publication in which he/she signs as the first(or co-first) author. 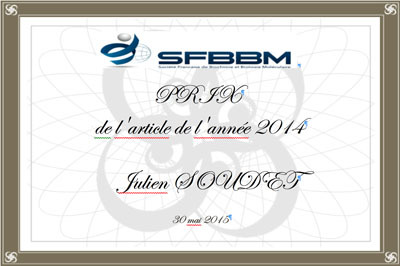 An SFBBM committee selects the best ”Article du Mois” which will appear on the SFBBM website under Article du Mois. At the end of the calendar year, the best of the 12 Articles is selected as the Article de l’Année Prize. The Prize winner is invited to give a talk at the annual Meeting of the SFBBM during which a 500 euros worth Prize will be awarded. Travel and hotel costs will not be reimbursed. The committee is constituted from Pascale Lesage, Agnès Méreau and Alain Krol. Applications must be sent in March to the SFBBM secretary general by any administrative board member (on duty) or a previous president or vice-president. They should contain an updated CV with the main achievements and a publication list as well as a letter of recommendation from the person introducing the applicant. The deadline will be announced ahead by email. Applications must be sent in March to the SFBBM secretary general. The deadline will be announced ahead by email. A complete updated CV (with the main achievements and a publication list) mentioning the current position, the email and postal addresses.